Place is central to our most important Jewish dream. That singular dream is recounted at our Passover Seders: L’shanah habaah b’yerushalyim—next year in Jerusalem. And now, as the Psalmist sings, we are in fact like dreamers who have returned to Zion. We can in a matter of hours touch the land that our ancestors only saw in their mind’s eye and sang about in their prayers. Vayetzei begins that dreaming. Jacob arrived at the place. And he dreamed of a ladder reaching toward heaven. And God reiterated to him the promise that the land on which he was lying will be assigned to him and his offspring. Today his dream has become real. Yama—West—becomes Tel Aviv. Tzafona—North—is now Haifa. Our dreams are now real places. For millennia this was not the case. 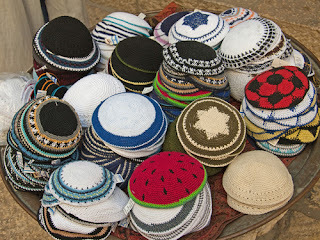 This Tuesday morning, I wore my kippah, the customary head covering many Jews wear in synagogue. We cover our heads as reminder that God is always present. As I entered the local elementary school to vote, I donned my kippah. I don’t wear a kippah all the time. Typically I wear one when leading prayer services or when teaching a class or when officiating at a wedding or funeral. I don’t wear one when doing any manner of everyday activities, such as grocery shopping or going for a walk or for that matter, venturing to town hall. This occasion, however, needed to be sanctified–most especially this year, and during these times. At Shabbat evening services we gathered together to celebrate Shabbat and stand in solidarity with the Pittsburgh Jewish community. I never imagined that I would stand before our congregation and have occasion to speak about such violent and deadly antisemitism in our own country. The fact that someone acted on his desire that all Jews must die seems unimaginable to me. I recognize that violent antisemitism is part of our American history. Leo Frank, for example, was lynched in the early 1900’s. But that seemed a unique circumstance and I could dismiss it as “back then.” Sure, in my own day, there were antisemitic comments said here or there, and there was Nazi graffiti scrawled on synagogues, but nothing ever of this scale. Such acts only happened over there, in Europe. Perhaps, we even quietly said to ourselves, it could happen in the South or in the far reaches of the West. Such horrific acts of terror aimed at Jews happened in Israel. But not, we believed, here. This week has taught us otherwise. We are pained. And our hearts are filled with sorrow. We are even angry. This evening we gather to sing our songs, and offer our prayers, and bring comfort to our troubled souls. But even our most cherished songs seem inadequate when pressed against this massacre. And yet we will sing and rejoice at the gift of Shabbat. On this day more than any others, we will do so in defiance of the world and the hate it brings to our doorstep. We celebrate the Sabbath so as to assuage our anger and heal our pain. We sing so as to fill our hearts with gratitude. And I am grateful that so many have come here, on this Shabbat evening, to stand in solidarity with the Jewish community. I welcome the guests who have joined us and most especially our local clergy: Reverend Jeff Prey, of First Presbyterian Church, Father Kevin Smith, the Pastor of St. Dominic's Church and Dr. John Yenchko, the Pastor of North Shore Community Church as well as their parishioners. Your presence gives us strength. Your willingness to join with our community gives us hope. On every Friday evening we begin with the same song, Hineh Mah Tov. On this evening it takes on added meaning. Hineh mah tov u’mah naim shevet achim gam yachad. How good and pleasing it is that brothers and sisters join together. The Jewish tradition teaches that Amalek is the paradigm of evil. He, and his followers, attacked the ancient Israelites as they wandered through the desert. He attacked them from the rear. He attacked the stragglers and the weakest. This is what we saw happen this past Shabbat. People who went to synagogue to celebrate and pray, who faced the Ark to beseech their God, who relished in holding the Torah scroll in their arms were gunned down in a sanctuary that is supposed to only serve as a place of respite and peace. Let us be forthright. Antisemitism is on the rise. Gun violence is a daily occurrence. Hate speech increases with each news cycle. These are our new realities. What happened at Pittsburgh's Tree of Life synagogue is partly attributed to the gun violence that plagues American society. Automatic weapons, and guns made for military use, make such acts exponentially more lethal. And that should be said again and again, until we find some measure of regulating our society’s love affair with guns. But what makes this instance different and unique is that Jews were purposely targeted. A man filled with rage and obsessed about Jewish conspiracies, fueled by the common cause he found on the internet set out to kill as many Jews as possible. The internet is like kindling for the blood libels, stereotypes and hateful rhetoric that have always been part and parcel to antisemitism. Any manner of idea can find compatriots not only in the web’s darkest corners but in the very tools we use day in and day out. They are a mere like away on Facebook. Moreover, when our political leaders, demonize other human beings, whether they be immigrants, Muslims or Mexicans, antisemites breathe easier. When the events of Charlottesville are dismissed, when the differences between protesters and Nazis are equivocated, antisemites think to themselves, “Look at how many people agree with us.” Silence is interpreted as assent. Words really do matter. That is one of our tradition’s most important teachings. Words can hurt. They can heal. They can incite violence. They can lead us to peace. They can divide us. And they can lead to unity. Perhaps this violent antisemitism was always here in the United States, perhaps it always bubbled under the surface. In recent years it appears to have found new air. I have studied enough history to know that antisemitism has a stubborn fortitude. We have found it in every country in which we have settled. Even in Israel, the place we believed would be this solution to this perennial challenge, Islamist leaders have resurrected the worst, and most lethal, of history’s antisemitic tropes. Still I never imagined it could become so devastatingly violent here, in my home, in our United States. Some might have thought this a naïve belief. I fear they may have been proven right. Still I stubbornly hold on to the notion that this place to which my grandparents immigrated, this country in which my family has made our home, is different. It is unique. In how many lands would there be such outpouring of love and support from those who are Christian, Muslim, Buddhist, Hindu, Sikh and others? Here there is a sense that if one faith is attacked all are attacked. That is the notion to which I cling. In how many countries would a local paper be emblazoned with the Jewish prayer for mourning? On the front page of this morning’s Pittsburgh paper are the opening words of the kaddish, written in Hebrew: yitgadal v’yitkadash… And my heart is buoyed by the presence of my friends who are here this evening. We may be of different faiths, but we are bound together. When one is attacked all are attacked. The fact that you have joined us on this occasion, to sit with us and join in our prayers, is a testament to the greatness of our nation and the notion that we are stronger than the hate that travels across our computer screens and the violence that fills our schools, movie theatres, malls, and sanctuaries. In fact, I learned the meaning of sanctuary not from studies of Jewish texts but from Reverend Ramirez. Years ago, my congregation met at the Brookville Reformed Church. We did so for some ten years. Central to this congregation’s tradition was the notion that their sanctuary doors were never locked. A sanctuary must always be open. Anyone could come to the sanctuary and find solace and comfort within its walls. On occasion, when our students met in the social hall for Hebrew School, someone would wander into the sanctuary to sit and pray. I would sometimes find people there. Sometimes they sat in the dark and I would offer to turn on the lights. I could sometimes hear their cries as they prayed. Despite my offers to talk, they often preferred to sit in silence and pray. And that is the image I am holding on to. An open sanctuary. A sanctuary in which people are shielded from the troubles of the world, a sanctuary in which any manner of person is welcome. People might tell you that a Jew can’t really be friends with a Christian or with a Muslim or with people of different faiths. They don’t really understand what America represents. We have a choice between walls that divide us or open doors that invite others in. Open doors are what should define us. The only way out of this dark week is through these open doors. Shutting others out leads nowhere. America is about finding a place for differences. It is about finding a home for ourselves and right by our sides, a home for others. This week we read, in our weekly Torah reading, about the death of Abraham and Sarah. They are both buried in the contested city of Hebron. In a fascinating turn, Isaac and Ishmael, the two estranged brothers, one who is the father of the Jewish people and the other, Muslims look to as their patriarch, come together to bury their father Abraham. They live in different lands. Ishmael lives in Egypt, apart from his father and brother, who live in the land of Canaan. Isaac’s mother Sarah forbids any contact between Isaac and Ishmael. And yet Ishmael shows up at Abraham’s burial. He is there by his brother’s side, so they can together grieve for their father. How can this be? There is only one answer. Isaac kept the door open. He stayed in touch with his brother. That must be the choice we make. There are voices that seek to divide us, and separate us from one another, and keep us far apart and at a distance, that seek to portray the other as alien and foreign. And if we listen, if we heed these voices, we will find ourselves unable to fight the demons that grow in our midst. We will find ourselves at odds with the very values that have made this country great. That is not a choice I am willing to make. Antisemitism may be stubborn in its perseverance. But I promise to be just as stubborn in my response. I promise to hold on to others despite our differences. We may be different. We may pray in different manners. We may surround ourselves with different images, but we are one. And together we must say, what happened in Pittsburgh last week is not us and it will never again be us. It can never be a part of the America we all call home. Amen v’Amen. On Saturday evening I stood with 200 other cyclists watching the sunset over Makhtesh Ramon, a large box canyon in the Negev desert. It was then that we began to learn about the massacre at the Tree of Life synagogue in Pittsburgh. We made Havdalah and sang to Elijah the prophet, who we pray will one day bring peace to the world. We sang in defiance of the world and the troubles it too often brings us. Even when that hope seems distant, we continue to sing. This is what Jews do. We stand up against adversity. Sometimes with song. Other times with political action. Always with the hope that the future can be better than the past. We are defiant in the face of adversity. We pray for peace when it appears impossible. If Jews had allowed history to defeat them, there would be no State of Israel. I could not have spent the past week riding through stretches of desert that took my breath away. That is always the first and most important lesson we should take into our hearts. And this coming Shabbat, we will sing even more loudly, and perhaps even more defiantly. We will meet as we always do on Friday evening at 7 pm. Feel free to invite your friends and neighbors. I have received messages from Christian and Muslim friends who want me to know that their hearts are joined with ours. Invite such friends to join you at services. The next day, on Sunday morning we gathered at the same spot, again overlooking the Makhtesh, to offer prayers and begin the day of riding. The Israel Ride has a tradition that someone different carries a small Torah scroll every day of the ride. A couple from the Pittsburgh synagogue, who still did not know who among their friends and fellow congregants were alive or dead, was given this honor. They carried the Torah. And they rode. They moved forward. And then for the last day the scroll was given to a young woman who will help to carry our people forward. We move toward the future. We hope for a day of peace. We ride forward. 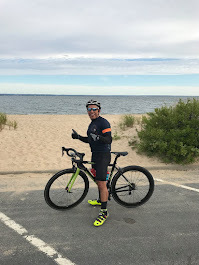 This ride is about more than cycling. It is about making peace. It is about bringing Jews, Christians and Muslims, Israelis, Palestinians and Jordanians together around their shared concern for the environment. At the Arava Institute, they do not avoid confronting disagreements. They do not avoid the ongoing conflict between Israelis and Palestinians. Students are in fact forced to discuss these issues and conflicts with their colleagues. But then after they scream at each other and cry about their own pain, they sit and eat their meals, together as one. The institute is also about so much more than studying the environment. It lives by the principle that it is far more difficult to hate when the stranger becomes a friend rather than a caricature. Until Charlottesville, we believed our country would always be a safeguard against antisemitism and that we would never again know the feelings of the stranger. This past Shabbat was a deadly reminder that in our own country, the very place that we have felt at home for generations, there are still those who “want all Jews to die.” This past Shabbat was a violent wake-up call that as much as we wish our sanctuary to be a refuge from the troubles of the outside world, contemporary events too often pierce that solace. They tear away at the joy which is the essence of Shabbat. And yet perhaps this Shabbat can offer us something else. The Sabbath is also “vayinafash”. It is a day when our souls are meant to be restored. Perhaps our faith can be restored in our neighbors. And our hope can be restored in our country. I have invited my friends and local Christian clergy to our services. Their presence will help to bolster my faith. We can pray and sing so as to banish the terror that seeps into our hearts. And at the very least, our songs will buttress our hope. The synagogue’s board and I will of course review our security protocols. We take the safety of everyone who enters through our doors very seriously. We will of course update you after our discussions. Nonetheless the secret to fighting hatred, antisemitism, and terror is found more in our hearts. It is discovered by teaching about peace. It is found in speaking out against those who sow hatred. And so, I can promise you this. Shabbat will help to strengthen our hearts. It will help to restore our souls. We will mourn. We will also sing. The tradition lionizes Abraham. He is among our greatest of heroes. We recall his name every time we stand to recite the Amidah. We remember his fortitude, and remind God of our forefather’s devotion, in our prayers. Abraham was tested ten times and each time not only persevered but emerged stronger. Last week he left his native land when God commanded him to do so. And then at God’s insistence, he circumcised himself at the age of 99. And this week we read of his final test: the command to sacrifice his son Isaac. We also read this story on Rosh Hashanah. God commands Abraham to sacrifice his son. Without hesitation he marches off early in the morning, with Isaac, to do God’s bidding. He carries with him all the tools for this sacrifice. Abraham and Isaac journey for three days to Mount Moriah. You might have thought that he would have changed his mind. You might have thought Isaac would inspire uncertainty, and doubt, about his faith. Abraham was, however, single minded in his devotion. Only at the last moment does God stay Abraham’s hand. “Do not raise your hand against the boy…” God calls. In Isaac’s place Abraham sacrifices a ram. On Rosh Hashanah we sound the shofar in remembrance of Abraham’s devotion. We remind God of what our ancestor was willing to do. On the place where we believe Abraham nearly sacrificed Isaac the Temple was built, and the Western Wall now stands. I continue to ask, “Who would take a knife to their child? Who would sacrifice their son?” It is a harrowing story. And if I introduced you to someone who did what Abraham did you would rightly say he is crazy. Franz Rosenzweig, the great 20th century Jewish philosopher, responds. He bravely suggested that that Abraham misunderstood God. Many people think they know what God wants. And plenty of people continue to do crazy things in religion’s name. Rosenzweig also remarked that all we can be certain of when it comes to God’s revelation is its first word, “Anochi—I.” Everything after that word in the opening phrase of Sinai’s revelation, “I am the Lord your God…” is interpretation. All we can know for sure is that God exists. Discerning what God wants of us, however, is a lifelong pursuit. We continue to interpret. We continue to struggle. Too often people allow their certainty to blind them and impel them to make terrible decisions and even do horrible deeds. How else can we understand the demand to sacrifice a child? We tend to become overzealous of our interpretations. We shout, “I know what this means. I understand this. I am certain of God’s truth.” We tend to hold on to these certainties as if they are the greatest sources of meaning. Perhaps this is what we should sacrifice. And perhaps this is why God stays Abraham’s hand. I am thinking about immigrants and refugees. Perhaps it is because the Trump administration has reduced the number of refugees allowed into this country to a four decade low. Or perhaps it is because the administration continues its policy of separating immigrant children from their parents. Then again perhaps it is because the president today threatened to take military action to stem the flow of people trying to cross the US-Mexico border. Immigration continues to captivate my thoughts and animate my concerns. I turn to this week’s Torah portion. In it God commands Abraham to leave his native home and journey to the land of Canaan. There God will make him a great nation. And so what does Abraham and his wife, Sarah, do? They go. They travel from what is today modern day Iraq and make their way to what will become the place that Jews continue to hold in their hearts, the land of Israel. Our Jewish story begins by leaving home. Our journey begins because Abraham got up and left. We are forever defined by journeying. Even the term Hebrew, Ivri, means to cross over. What makes us Jews is leaving and going, and crossing over one border to another. This is why we say at the Passover seders, “My father was a wandering Aramean.” We think that holiday celebration is about the blessing of gaining freedom and escaping slavery. It is of course. That is its larger message. But Passover is also about affirming wandering. Passover is about going out. It is about leaving. And the most interesting, and curious, thing is that we never arrive. The seder concludes with a promise. We only leave. We never get to where we are going. We conclude, “Next year in Jerusalem.” Next year it will be better. Next year our lot will be improved. We say goodbye to our seder guests with a lingering hope on our lips. This is the immigrant’s dream. The Jewish hope is the refugee’s dream. Abraham embodies every immigrant’s aspiration and every refugee’s longing. They say, “We are leaving. We are running. Because there it can be better. Because tomorrow can be better than today.” That’s why people try to sneak across borders or why they risk their children’s lives by placing them in rickety boats. That’s why Abraham left Haran. He had faith in the promise of tomorrow. Next year it will be better. This is our people’s most important legacy. “Next year” encapsulates our ethos. The hope that tomorrow can be better than today. That’s why Abraham runs. That’s why people continue to try to cross over dangerous borders. Today we recall the many Jewish immigrants who found their way to this country’s shores. Today we recall that 85 years ago today Albert Einstein arrived in the United States as a refugee. Who among these “huddled masses, yearning to breathe free” will be the next Albert? Who among these “homeless, tempest-tost” will be the next Abraham? Waving the lulav reminds us that God is everywhere and anywhere. To be honest it looks like a rain dance. This makes sense because Sukkot begins the rainy season in the land of Israel. We continue this tradition even though we live outside of the land. We even add the prayer for rain as we welcome the changing colors of fall. Many of our customs are tied to Israel. Even the holidays follow that land’s patterns rather than our own. Still the Rabbis did not abandon these traditions. Instead they found meaning for their own lands and their own times. 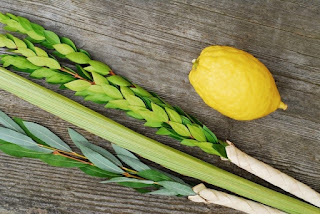 Rather than bringing rain, they taught that the lulav and etrog are metaphors. The four species represent four different types of people. The etrog has good taste (good is a debatable point) and fragrance (it does smell wonderful). The etrog represents a person who is wise and does good deeds. The myrtle has good fragrance, but no taste. It symbolizes a person who does good deeds but lacks wisdom. The date palm has good taste but no smell. This represents a person who has wisdom but does no good deeds. And the willow has no taste and no smell. This symbolizes a person who lacks wisdom and does no good deeds. I wonder why the rabbis associated taste with wisdom and smell with good deeds. To acquire wisdom you must sink your teeth into the learning. You must acquire the taste. Learning is akin to sitting down to a good meal. A good deed, on the other hand, can be carried on the winds like a beautiful fragrance. It can even reach beyond the person who stands before us and is begging for our assistance. The smell, and reach, of a good deed can travel from one end of the world to another. And yet most important of all, a community is comprised of all kinds of people. Some are wise. Some do good deeds. Some do everything. And some do nothing. But what makes a community a community, or for that matter, a country a country, is that everyone must be held together. You can only come to a recognition that God is everywhere and anywhere when everyone stands together and you hold everyone tight. Can this bring the rains that nourish the earth? Perhaps. Perhaps not. But it certainly can provide us with much needed nourishment. What follows is my Yom Kippur evening sermon. A friend recently shared the following story with me. A few years ago, the nursery school that he oversees assigned their three-year old’s to classes. Emails were sent to parents informing them of their children’s class assignments. Within an hour, the phone began ringing non-stop. Parents were irate. The school had neglected to accommodate the majority of class placement requests. Little Samuel was not with his best friend David. Abby was not with her best friend Shoshi. They have been best friends for their entire lives—or at least since the day they could say each other’s name, which to be honest was only since they were in the two’s. Parents threatened to remove their children from the school. They demanded refunds—or at the very least, discounts. The requests, however, could not be accommodated. Guess what, the kids all made some new friends. Samuel and David did continue playing on the playground during free time, but Abby and Shoshi were soon just as excited about their new friends. I promise, this is a true story, although I have Hebraicized the names to protect the innocent. Everyone has heard about helicopter parenting. This is when parents swoop in and pick up their children. They protect them before they can even fall. But if you never fall you can never learn. If we take one certain someone’s favorite example, you certainly cannot learn how to ride a bicycle, if you are never allowed to fall. If you never fall or for that matter, you never take off the training wheels, you cannot learn. Bruises, scrapes and pain are part of learning. I have long believed that if you never know failure, you cannot grow. And yet today’s new term is not called helicopter parents but lawnmower parents. Rather than swooping in and protecting children, lawnmower parenting is about racing ahead and mowing down all the obstacles that stand before our children. For such children the world is perfect. It is manicured grass. I am certain all agree that the world is not even close to being manicured perfection. And yet this is what is happening around us. Let’s be forthright, if you are given the impression at three years of age that life is a beautiful, putting green then you are going to face untold difficulties when you discover that it is not. That day may not come until the age of 15 or even 30, but it will come. The world’s challenges can never be fully smoothed out or mowed down by others. We have to do this for ourselves. We also cannot do this alone. Friends lift our spirits. They will also of course break our hearts. No one can fix that but ourselves. No one can repair that but our own hard work. Three-year old’s will cry. And by the way, so will thirty-year old’s. People will disappoint. Situations will madden. No one can smooth it but ourselves. The only thing that makes it easier is that you have someone who is willing to stand by your side; you have a friend who will call you a friend no matter how it turns out or even how poorly you respond. So, let’s talk about making friends. I have a couple of theories about all this. This should come as no surprise. If you are a rabbi, you get to make theories about everything. Here it is. First of all, you have to make friends for yourself. You have to work on friendship yourself. And the second is that our closest friends are often what I would call accidental friends. They are the friends you make because of chance encounters or because you are both thrust into the same situation. It is the person you become friends with because you both happened to sign up for the same yoga or spin class—or even because you are both devotees of the same Peloton instructor. It is the friend you make because you serve together on the same volunteer board or because you happen to sit next to each other in synagogue or because the school puts you in the same class together. Mom and Dad can’t arrange this for you and should not arrange this for you. They certainly should not try to smooth this out for you. And finally, you have to keep making new friends. If all of your friends are made in the two’s then how can you ever grow and change. It is the accidental friends who move our lives. As I reflect on the many friends who continue to bless my life, with the exception of my brother, who my parents assure me was not an accident, the vast majority grew out of unintended meetings. Speaking about my brother I would say it this way, one day, when I was in the three’s actually, my parents dropped this kid named Mike in my room and they said, “Play nice.” They, more or less, left us alone to figure out this thing called brotherhood. And we have been best friends ever since. I know it does not always work out that way, and I consider myself extraordinarily fortunate. Or let’s take another example, perhaps you become friends with the guy who happened to marry your wife’s best friend. At some point you decide, “Well it looks we are going to be spending a lot of time together, so we might as well be friends too.” And then somewhere along the way you forget about that initial, happy accident. And you imagine you have been friends for a lifetime. Rarely when extolling David’s renown do we recall his friendship with Jonathan. But if not for Jonathan, David would certainly have been killed. If not for Jonathan’s friendship David would not have become the king who unified our people and declared Jerusalem our capital. It was the friendship between David and Jonathan that moved our history 3,000 years ago. Never underestimate the power of friendship. Walking together, with a friend, one can overcome anything. Walking with a friend one can write history. Even King David did not walk alone. The Bible is silent about how they became friends. One day they found themselves together. Can you ever really pinpoint the moment you declared someone to be your best friend? Can you ever really say it was this day, at this occasion, when we became friends? More likely you were pushed together by some mysterious, and unknown forces that made you into the friends you are today. Maybe, I admit, it was your moms or dads who pushed you together. Still, that opening moment, remains mysterious and unplanned. It is an unscripted piece of the fabric of our lives. We cannot write the script for our children and manicure the lawn for them. We cannot fight to make sure they are only with the friends they already have. Let the accidents happen. Let the coincidences surprise. Let serendipity guide you. It is the accidental friendships that move history and move our own stories. The worst thing that has happened to friendship is the like button. It has made being friends more a matter of affirmation than commitment. David and Jonathan shared a covenant, a bond. Their lives were bound to each other. In fact, the Hebrew word for friend, chaver, comes from the Hebrew meaning to unite. The measure of David and Jonathan’s friendship was that their souls were bound together. Sure, friends sometimes make you angry. There are times when friends are there for you and times when friends seem to abandon you. But if friendship is about commitment rather than likes it will last. Judaism calls friendship devekut chaverim—clinging to friends. It suggests an enormous amount of work. Holding on tight is exhausting. It demands holding on even when you may not want to. Don’t get too clingy, of course. Hold on to friends and work on that friendship. Being friends requires patience. It requires understanding. It demands forgiveness. 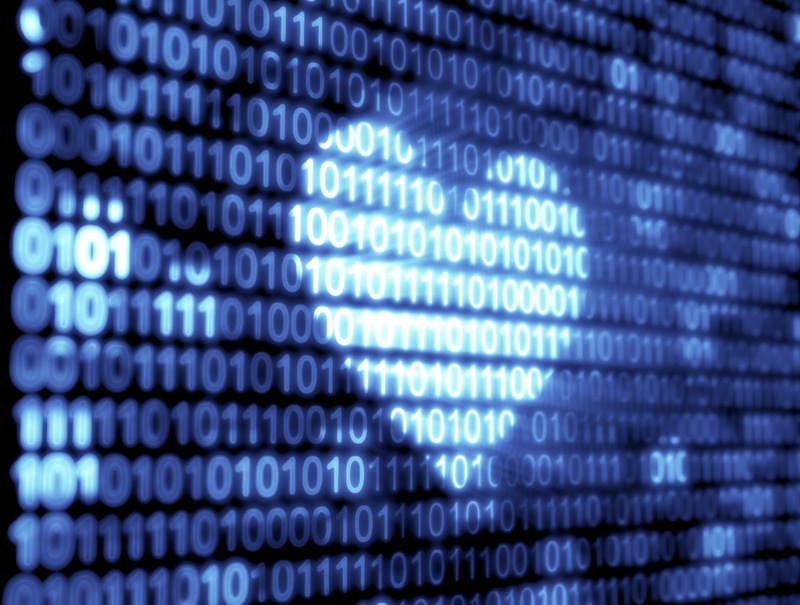 Affirmation and likes are nice, but they do not build meaningful relationships. Look into a friend’s eyes rather than through their posts. Sometimes the old-fashioned way is the right way. The rabbis offer this counsel. “K’nei lecha chaver—acquire for yourself a friend.” (Rabbi Yeshoshua; Pirke Avot 1). It is such an interesting word choice, k’nei. It can be translated as acquire or even purchase. That means friendship entails not only work but sacrifice. Go out and make some friends. Judaism’s great counsel is that we require others. We require others to pray. We require others to learn. We require a friend to uncover truth. Think about this. When studying in traditional circles one always learns in chevruta—a word that is usually translated as fellowship but shares the same root with chaver, friend. You pair up to study this page of Talmud or that page of Jewish philosophy. You sit across the table from another and you read, and you discuss and most important, you argue. You cannot gain true understanding by yourself. You have to sit across the table and look into the eyes of your study partner and debate the meaning of the teaching before you. I remember years ago when I hiked Wadi Qelt in the desert outside of Jerusalem. There in the canyon’s walls were holes where Christian monks secluded themselves for years on end. Once a day they lowered a bucket to be given their day’s meager rations. I remember staring up at the cliffs and saying to myself, “How un-Jewish.” At the time I was thinking about their paltry food rations. (Did I mention that I don’t very much like fasting?). How can one be religious and not feast? And most especially, how can one be observant and not be surrounded by others? I think about this when I am tempted to retreat and be alone with my books of poetry, or when I take up Wallace Steven’s advice. He said, “Perhaps the truth depends on a walk around a lake.” Stevens might have been right about the walk. But about solitude Judaism says no. True, there is nothing wrong with being alone with one’s own thoughts. The question at hand is, can it lead to discovering more truth. Judaism insists, if you are searching for truth, then go find others. Make a friend. That is the only certain answer to all our questions. You might think Jewish mystics suggest otherwise. This is not true. Moshe Cordervero, one of the greatest Jewish mystics, who lived in sixteenth century Safed, developed the following spiritual practice. He and his friend, and fellow mystic, and brother in law, Shlomo Alkabetz, who authored one of our favorite Friday night prayers, Lecha Dodi, would go on long walks in the fields surrounding Safed. Their goal was to see where their friendship led them. Cordevero offered this advice: “One should desire the best for his friend, view his good fortune favorably and cherish his friend’s honor as his own.” Imagine if we heeded that advice. Friendship means acceptance. It means relishing in friend’s successes. What they discussed on those walks were recorded in a book called the “Book of Wanderings.” I love that title. Go get lost with a friend. And there you can be found. There you might discover some truth. The mystic offered this advice for taking such walks. #1 always walk with a friend. And #2 only discuss matters of great importance. No discussions about the weather. Or what this person or that is doing or wearing or buying. Discuss Torah. Talk about the world. Argue about weighty matters. Imagine again if we listened to this advice. Take note. This is Jewish mysticism. It is not about secluding ourselves or divorcing ourselves from the world. It is about binding ourselves to others. We need others to face the world’s challenges. True friendship means that we accept our friend’s strengths and their weaknesses. It is not about affirmation. It is not about always saying, “You look great. You’re so smart.” All those Facebook likes are about looking at friendship from the perspective of what do I gain from this friendship. Social media has transformed friendship into a commodity. Too often we confuse acceptance with such affirmation. We are supposed to be trying to figure out how to better ourselves, how to improve our world, how to face the challenges of tomorrow. We can only do that with friends. It may sound corny, but it is our tradition’s most important counsel. Go on a walk, perhaps even around a lake, but find a friend to go with and talk about really, really important stuff. You may not agree with each other at the end of the walk, but you might get closer to some truth. At the very least you might find the inspiration for some song, perhaps even one as great as Lecha Dodi. That’s what I imagine led to Alkabetz’s writing the words that hundreds of years later continue to move our hearts. And think about this as well. They only became friends because of a marriage. That’s what made them brothers in law. That’s what pushed them together. It was not their choice, but their accidental meeting that wrote their story. Serendipity is what moves history. Over 70 years ago the State of Israel was founded. Let us breathe that in. On November 29, 1947 the United Nations voted for the partition plan in which there would be Jewish and Arab states in British controlled Palestine. 33 nations voted in favor. 13 against. 10 abstained. Among the countries voting yes was of course our United States, who was then led by President Harry Truman. The reason why the Truman administration voted in favor of the partition plan was in fact the story again of how friendship moves history. That yes vote, as well as the immediate recognition of the State of Israel when Ben Gurion proclaimed it on May 14, 1948, was a result not so much of Truman’s unparalleled leadership but instead the result of his friendship with a Jewish man named Eddie Jacobson. Truman’s own State Department argued against partition. Zionist leaders clamored to meet with him to convince him otherwise. Truman grew so frustrated with all the pressure that he said he did not want to hear anything more about the partition vote. Jacobson and Truman were lifelong friends. Thrown together during their army years serving in World War I, they later opened a men’s clothing store together in Kansas City. Jacobson was at first hesitant to get involved, but Zionist leaders implored him. And so Jacobson wrote the following letter to Truman: “The lives of one and one-half million souls depend on what happens at the United Nations meeting within the next few weeks. I trust God will give you the strength and guidance to act immediately. I think I am one of the few who actually knows and realizes what terrible heavy burdens you are carrying on your shoulders during these hectic days. I should, therefore, be the last man to add to them; but I feel you will forgive me for doing so, because tens of thousands of lives depend on words from your mouth and heart.” Jacobson continues: “Harry, my people need help and I am appealing to you to help them.” He then adds the most remarkable of conclusions: “Everyone at home is well and my business is keeping up fine. Just enlarged the store and am very proud of it. Wishing you and your family the best of everything, I am; Sincerely, Your friend, Eddie Jacobson.” The rest is history. It is one we know and love. But it’s that last line that made it. “Your friend, Eddie.” Those were the decisive words. Soon after writing that letter Jacobson hopped on a train to DC and marched into the White House unannounced. He demanded a meeting with his lifelong friend. Truman remained stubborn. He had had it with all the talk about Zionism and the UN partition plan. Remembering that Truman greatly admired Andrew Jackson, Jacobson then pointed to the seventh president’s bust and said, “Weizmann is a national leader cast in the same mold and temperament as the great Tennessee President.” Truman laughed, and told Jacobson to make an appointment for the Zionist leader Chaim Weizmann to see him. That was the moment. Jacobson convinced his longtime friend that he must meet with Weizmann and take up the case of the nascent Jewish state. It is remarkable what some laughter and friendship can accomplish. “Your friend, Eddie.” Sometimes that’s all we need to add and all history requires. And while we may not be writing history, you never know what a chance meeting, and a new friendship can accomplish. Let go of the script and the plans. Go get yourself a new friend this year, if not to write history, at least to write some new stories, and to discover some new truth. K’nei lecha chaver—acquire for yourself a friend. Yom Kippur begins Tuesday evening and with it the day long fast that is the hallmark of this holy day. To be honest, I don’t like fasting. It seems so un-Jewish. I prefer eating. On Yom Kippur, we beat our chests and proclaim our mistakes. We deny ourselves the pleasures of this world. The goal is that we become closer to God and on this day, a little more like angels. The evening’s festive meal is just as important as the fast. This is because the hallmark of a Jewish life is celebration. It is one punctuated by dancing and singing. A seudat mitzvah—feast—is the quintessential Jewish act. This is not to suggest that we should ignore the fast. It helps to elevate our souls. It forces us to focus on our prayers—although I must confess, I sometimes find myself daydreaming about noodle kugle, most especially during the afternoon’s closing hours. Do I require a day of denial and asceticism, of self-flagellation and enumerating my mistakes to help me appreciate the other 364 days? Perhaps. Still I would prefer 365 of singing and dancing. As much as I love seeing our sanctuary packed for this most holy of days, I would prefer to see us pack our lives with more joy and celebration. This is why Shabbat dinners are the best expression of what it means to be a Jew, and to lead a meaningful Jewish life. We need to rejoice more. We need to say thank you more. We need to look up to the heavens and proclaim—more often than we most certainly do now, “Thank You for creating me. Thank You for fashioning this beautiful, and mysterious, world.” If the fast helps us to achieve this goal then it is worth it. The fast is not the goal. Never mistake means with ends. The fast, and all those hours of praying, are means to lift our spirits. They are tools to add more joy to our lives. It is much more about the hora than the fast. What follows is my sermon from Rosh Hashanah Morning. Hey rabbi, everyone is excited to hear what you have to say this year. But… Don’t talk about politics. Don’t get too controversial. Keep it inspirational. Give us something meaningful. I wouldn’t want your job—especially this year. Good luck. What am I to do? 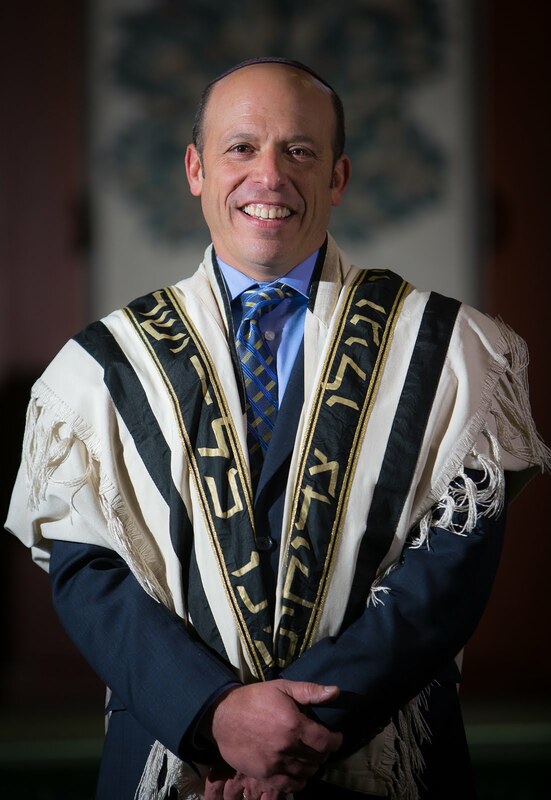 What should a rabbi talk about during one of the most contentious and divisive years in memory? Well, I wouldn’t be the rabbi that you know, and perhaps love, if I avoided controversy. I understand that some want me to leave such divisiveness at the synagogue’s door, that here there can be shalom, peace. That this place can be an escape and refuge from all that mishegas. This place can be a sanctuary. I appreciate that perspective. It is not mine. I believe that Jewish teachings have to give us some guidance for how to make our way through this mess, that they must give us wisdom and strength to face the everyday. Quite frankly, if we can’t take Torah out there, into the everyday, if it’s only about the internal and not the external, then it’s useless. I also wouldn’t be the rabbi that you have come to know if I didn’t offer some wisdom from our great Jewish teachings, in particular from the sages of the Talmud. That’s what Jews do when they are searching for what to do today. We look back at what was said, and done, yesterday. And that, by the way, is what I am sure my friend Rabbi Aaron Panken z”l would advise me to do if I were able to ask him. My first duty is to teach. And we must always learn. So here are three lessons from the Talmud that I think help us deal with today’s controversies. The first. Soon after the Romans destroyed the Temple in 70 C.E. the rabbis gathered to debate why this terrible catastrophe occurred. The obvious answer was, the Romans were the most powerful army in the world and they liked to conquer other nations. They saw the Jews as rebels and wanted to quash any hope of Jewish independence. And so, they leveled Jerusalem, destroyed the Holy Temple and carted the survivors off to Rome. The rabbis asked: how did this happen? Why did this happen? They avoided the obvious answer. They did not say, the Romans did it. Instead they said it was because of sinat chinam, baseless hatred between Jews. That’s why, they said, this terrible tragedy occurred. Here is their fantastic story. A certain man had a friend named Kamza and an enemy named Bar Kamza. The man once threw a party and said to his servant, “Go and invite Kamza.” The servant went and instead invited Bar Kamza. (Not good. I imagine the servant stammered, “I really thought you said Bar Kamza. Kamza. Bar Kamza. It’s so confusing.”) Back to the story. When the man saw Bar Kamza at his party he said, “You have been saying terrible things about me. You have been gossiping about me. What are you doing here?” He screamed, “Get out!” Bar Kamza replied, “Since I am already here, let me stay, and I will pay you for whatever I eat and drink.” The man said, “No way!” Bar Kamza said, “Then let me give you half the cost of the party.” The man again said, “No.” Bar Kamza said, “Then let me pay for the whole party.” The man still said no. And he grabbed Bar Kamza and threw him out. So, they didn’t sacrifice the Emperor’s gift. The Romans were offended. And then they destroyed Jerusalem’s Temple. All because of a mistaken invitation. All because of the heated disagreement between two ordinary folks. Look at the incivility of our ancestors. Throwing people out of parties. Saying terrible things about them behind their backs. Look at the rabbis standing idly by while their fellow party goers, and congregants, rip into each other. Perhaps the rabbis blamed themselves for Jerusalem’s destruction. They turned away from what was happening all around them. Look at the tragedy that unfolded from one terrible, and ugly, exchange. It begins with ordinary people. The Talmud does not even record the name of the man throwing the party. It starts with us. When we point fingers, we should really only point them at ourselves. So rather than leveling blame at our leaders I am going to take a cue from the rabbis of old and look within. The rabbis could have blamed Rome but instead they said let’s examine our deeds. This is of course Rosh Hashanah when we are supposed to examine our hearts. Perhaps there is nothing as controversial as the inner workings of our own hearts. So here is my question for this morning. How are we to blame for the divisiveness that infects our nation and our Jewish people? We can no longer even agree about the facts. We can do better. We must do better. Here is what we must do. We have to recover how best to argue. One of Judaism’s greatest gifts is the idea of machloket l’shem shamayim, arguments for the sake of heaven. It is my favorite and most cherished of our tradition’s teachings. For Judaism the debate is how we discern God’s presence in our lives. People often think that the Talmud is a law code. It is not. It is instead a record of the rabbis’ debates and disagreements. It is a masterful, and voluminous, book. Sometimes rabbis who did not live in the same city or even the same century are found arguing with each other on the same page. And the most remarkable thing of all is that even when the dispute is resolved the opposing opinion remains on the page. It is not written out. Winners and losers are not declared. Think about that point. Our most important book is one big, ongoing argument. Sure, the rabbis had to decide what we were supposed to do. Hillel and Shammai, two great first century rabbis, argued about everything. Let’s take their arguments about the Hanukkah menorah as an example. Shammai said that you should light eight candles on the first night and then one less each successive night. He was more of a literalist and felt this was more in keeping with how the miracle must have happened. The flame must have burned brighter on the first night because there was more oil day one. Hillel, on the other hand, thought that we should light one candle on the first night until we get to eight on the last night. His logic was that our faith had to increase each night and that God’s miracle grew day by day. (Babylonian Talmud, Shabbat 21b) You know of course what we do. We follow Hillel’s interpretation. But the Talmud preserves both arguments. They are both well-reasoned opinions. In the end, we had to decide one over the other because we have to be doing the same thing—even if we were not always thinking the same thing. We could not have some people standing and others sitting when we pray. We could not have half having four cups of wine at the Seder and others five. We could not have some people lighting eight candles on the first night and others one. So, the vast majority of the time Jewish law sides with Hillel. I wonder if it was simply because he was known as a nicer guy. The Talmud appears to agree. “Why does Jewish law follow Hillel?” it asks. “It is because the students of Hillel were kind and gracious.” It then goes on to say, “Hillel taught their own ideas as well as the ideas of Shammai’s students. They also went so far as to teach Shammai's opinions first.” (Babylonian Talmud, Eruvin 13b). That is the key. And this is the second lesson from the Talmud. You must afford the arguments of the opposition respect. You must be able to teach their ideas as well as your own. Imagine how that philosophy might transform our current times. We have surrounded ourselves with amen choruses of likeminded friends. That does not sharpen arguments. All it does is further entrench us and concretize our own prior held convictions. Instead, make your case. Use your reason. Lay out your logic. Open your ears to other voices—and most important, opposing opinions. It is not an argument to say how stupid or misguided others are. Stop with the invective. Stop with all of the Facebook posts that point out the opposition’s hypocrisy. It is not an argument when we denigrate others. It is not an argument when we malign people who hold opposing views. Again, it would be easy for me to point fingers at our leaders and blame them for this disharmony. I wish for us instead to look within and point fingers at ourselves. What can we be doing differently? How might we argue in a more civilized manner? It is about reason and discussion. It is not about calling the other side names. There are right and wrong ways to argue. How we argue with each other, each and every day has cosmic significance and historical import. That’s what our tradition tells us. A final lesson from the Talmud. It is the story about our rabbis’ arguments about whether or not an oven is kosher. Rabbi Eliezer said it was clean. The rest of the rabbis said it was unclean. Majority rules. It is unclean. But Eliezer was certain of his interpretation and quite a stubborn, firebrand. He was also a miracle worker. This legend is often told and retold. More often than not we stop here when recounting it. Here is evidence, we say, that we are supposed to interpret, and reinterpret, God’s Torah. Even God wants us to do that and is pleased when we do that well. God gave us this Torah not as a static document that is frozen in time but instead one that we can continue to interpret. We must argue about its meaning; we must debate our interpretations, but in the end when we have to figure out what to do, and what we think God wants of us, majority rules. But that is not where this story really ends. It has a tragic conclusion that is often censured out. The rabbis then voted to excommunicate Eliezer. He broke the rules about how to argue. “You should tell him Rabbi Akiva,” they said. And so Akiva went to do the sages’ bidding. He cried as he shared the news with his beloved colleague. But it’s not good to get a miracle worker angry. The Talmud reports that the wheat, barley and even olive harvest were decimated. I quote, “Every place where Rabbi Eliezer cast his eyes was immediately burned up.” And then Rabban Gamliel, the head of the court that ruled against Eliezer, nearly drowned on an ocean voyage. I know, it sounds wacky. And I don’t much believe that rabbis can zap stuff with their eyes. The Talmud is not history. It offers lessons. Yet, it is frightening lesson. The rabbis recognized that within every disagreement, even the inconsequential ones like who gets invited to a party or whether or not an oven is kosher, there can be found the seeds of our own destruction. Lurking within every argument and every disagreement lies the potential for us to lose everything we love and everything we hold most dear. The rabbis were keenly aware of the dangers of how we argue with each other. Their warnings serve as lessons for today. Their project was about how to argue while preserving community because they believed, as I do, that discussion and debate is how we discern God’s truth and how we improve our world and how we can figure out how to secure a better future, and that we cannot do any of those things alone and that we cannot achieve any of those things surrounded only by likeminded people. The rabbis taught that community, and country, transcend disagreement. Whether we agree or disagree with each other we need each other—Republican, Democrat and Independent. And so, I thank all of those who continue to send me Wall Street Journal articles because they think I read The New York Times too much. I remain unsure which of these papers we should label Hillel and which Shammai but I am certain that both opinions must be arrayed before us. And I am thankful to all those who continue to read my writings, and listen to my sermons, despite the fact that they feel there is sometimes a gaping disagreement between us. We must forever affirm and recognize that each of our ideas are sharpened in dialogue with each other, and that no matter how vociferously we might disagree we are one. We can do better. No more name calling. No more blaming. No more pointing fingers at anyone but ourselves. Let’s stop trying to throw each other out of the party. Otherwise we are all going to end up weeping with Akiva and excommunicated along with Eliezer. And finally, even though Senator John McCain is not to be found among the pages of the Talmud he deserves to stand alongside our great sages. These past few weeks he has served as my rabbi. And so, I conclude with his wisdom. He said, “Whatever our differences, we are fellow Americans.” And that 2008 concession speech continues to stir my heart and I have found myself reading it and rereading it these past weeks. Whatever our differences, we are fellow Americans. That’s as good a lesson, and as good a prayer, as any I can find on this Rosh Hashanah. Whatever our differences, we are fellow Americans.